The world's best-selling gadget and lifestyle magazine. Stuff is the cutting-edge guide to gadgets, gear and technology and is Earth’s most renowned gadget compendium. Inspirational, witty and friendly, it has become the best-selling gadget magazine in the world. 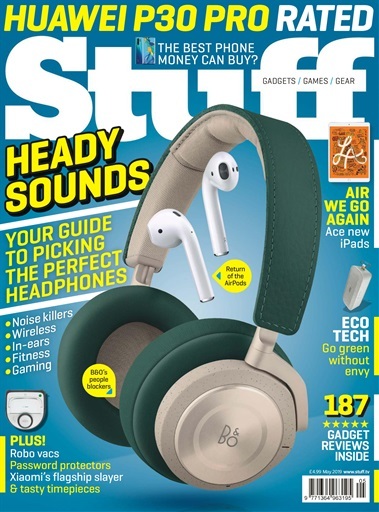 Stuff is the ultimate read for anyone looking to stay in the know with all the latest gadgets and technology. 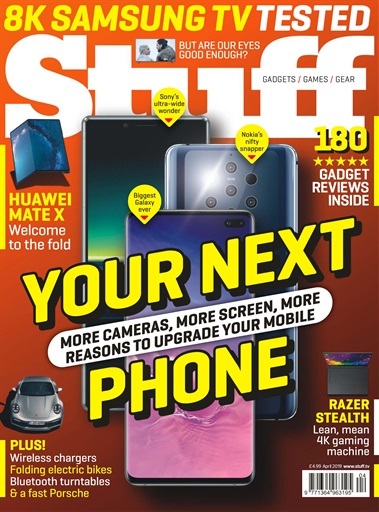 Every issue of Stuff is rammed to the virtual rafters with the world’s coolest kit -smartphones, laptops, cameras, TVs and much more. It’s where you can find tech news that’s wry but not dry, the world’s most trusted gadget tests and exclusive previews of the latest phones, computers, wearables, tablets and so much more. As the holy grail of gadget magazines, you’ll discover all the latest consumer gadgets and cutting-edge technology through superb pictures, reviews, specifications and opinions. 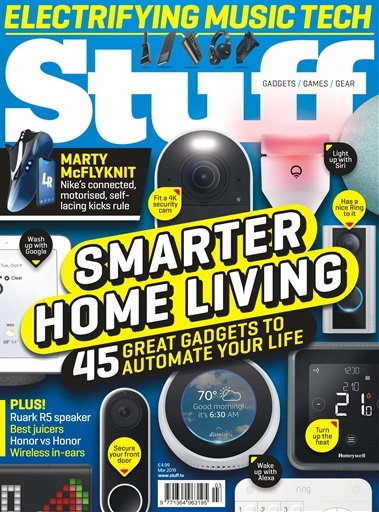 A Stuff magazine subscription is the savvy way to stay in the loop of all your favourite techy gadgets such as smartphones, tablets, TVs or smart speakers. And it’s not all about gadgets – you’ll find futuristic cars and robots too! Save 33% on the cover price, includes free delivery. Save 38% on the cover price, includes free delivery.